I could not do my job without my science technicians. They have my back when I have forgotten things, they trial experiments and they are always on hand to help me develop new kinaesthetic ways to teach. Four years ago, my lab technician Bev Lewell pulled me aside and asked for a favour. She had been so supportive of me, that of course I said yes before enquiring what it was about. 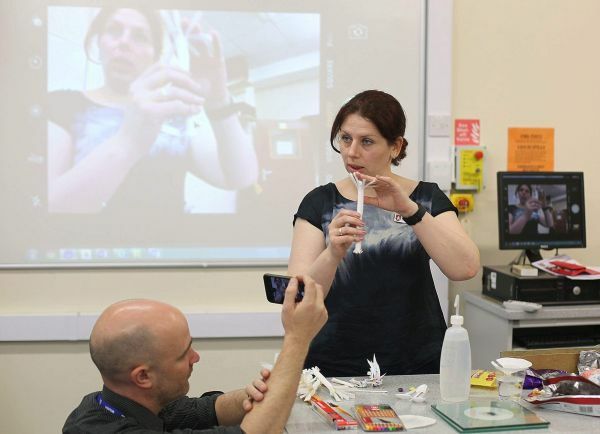 She needed a teacher who was prepared to demonstrate the more risky of experiments for the Technician’s Cluster Meeting – and so the annual Technician’s Conference was born. The first meeting was called Chemistry for the Brave, and we had an explosive time torturing jelly babies, making molten iron and the Whoosh Bottle to name just a few. And as my daughter Annie says, it’s not a party unless you have a party bag, so we made a little bag of goodies to give out to people which included pencils with delegates’ names burnt on them by our DT department. The event has grown and grown with different focuses each year – and usually with a dangerous element! 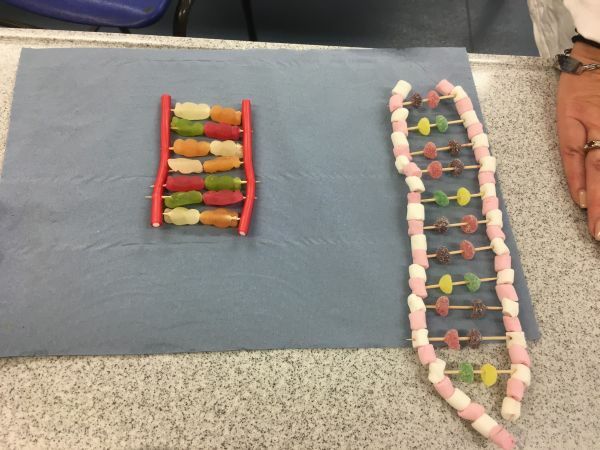 This year, our senior technician Amy Hardie and I decided to try something new: the Sweet Science conference, where we used sweets to model different scientifc concepts such as DNA, proteins and allotropes. We also used confectionery and chocolate for scientific investigations such as melting point, endothermic reactions and enzymes. This is really safe, low-tech and encourages engagement with students while being safer than many traditional techniques and often cheaper as specialist equipment isn’t needed. A newly discovered app was also a big hit with the delegates, thanks to ICT Technician Rohan Kular. It is called Lonely Screen, and enables you to project whatever is showing on your Apple device (image and sound) onto a computer and/or projector which is on the same network. This allows you to show real time close-ups of people’s experiments as they complete them, focusing people on what good looks like as well as common errors in the set up, execution and clearing away of the practicals. The Lonely Screen app has become a common feature in my own teaching to show excellent work from students as well as close ups of experiments where students willoften miss key observations. These events are excellent for networking and allow you to use the expertise and equipment at different local schools. It is also brilliant for sharing ideas and learning something new in an environment which is open and positive. Although it costs the school a little bit of time for the teachers and technicians it is more than worth it. I have been able to seek support from organisations such as the Royal Society of Chemistry and Chilled Food Association as well as Oxford University Press to create the goodie bags for free, and Breckland Scientific support the costs of refreshments and chemicals. Sam Holyman is Junior Science Co-ordinator at Bablake School in Coventry, and West Midlands ASE President. She is also author of a number of best-selling science textbooks for KS3 and GCSE, and a keen advocate of innovative teaching and learning. She was recently nominated in the Teacher Scientist category for the Science Council’s 100 leading practising scientists in 2015.